This level has medium difficulty. For this level try to play more from top part of the soda or play where you have more same color candies to make special candy. Try to combine them with each other to break the blockers and soda bottles plus it will help to move the ingredients. Or play near to bears to move them and take them to the top. 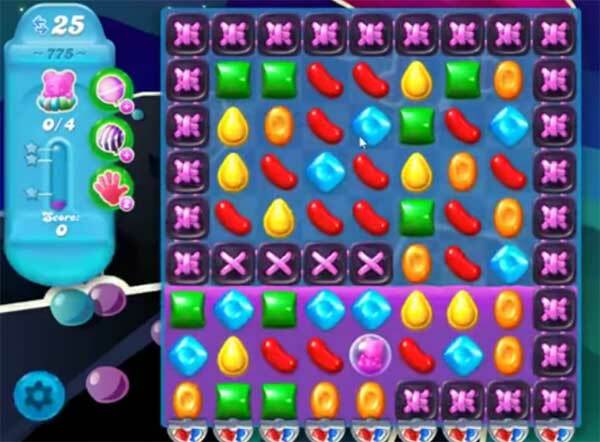 This is such a hard level, there are not enough moves and there are far too many liquorice blockers to clear been stuck on this level for ages! Only 23 moves now…not 25. Funny about that……I have NEVER had candy appearing from the top! I do not believe this is a reasonable level without that! Terrible level. I may give up. I don’t mind a challenge, but this level is rediculous! Try popping as many bottles as you can in as few moves as possible before breaking the links.